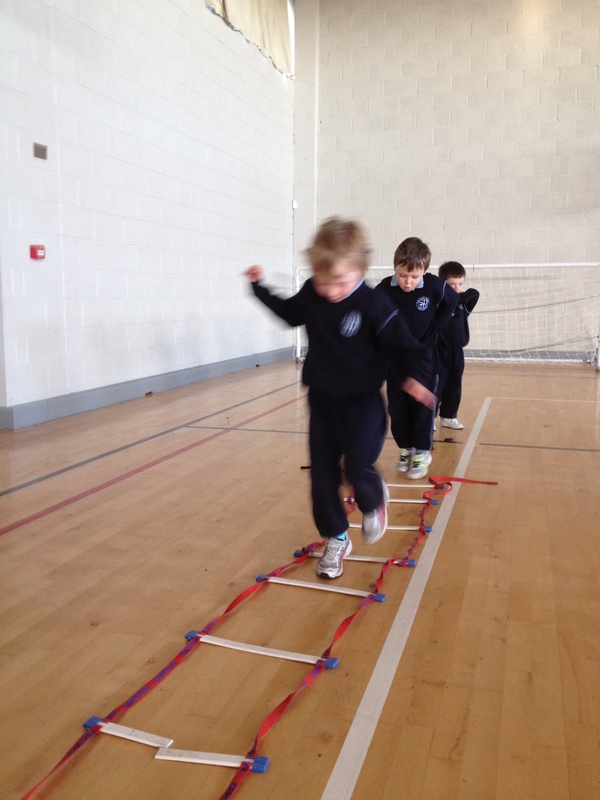 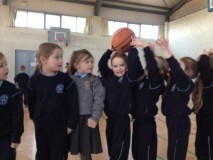 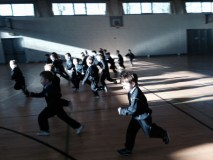 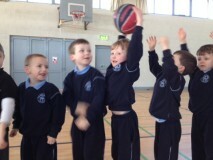 Junior Infants have been very active over the past few months. 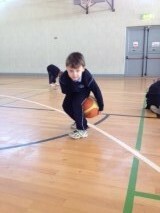 We enjoyed football coaching with Finbar and have recently started basketball coaching with Gary. 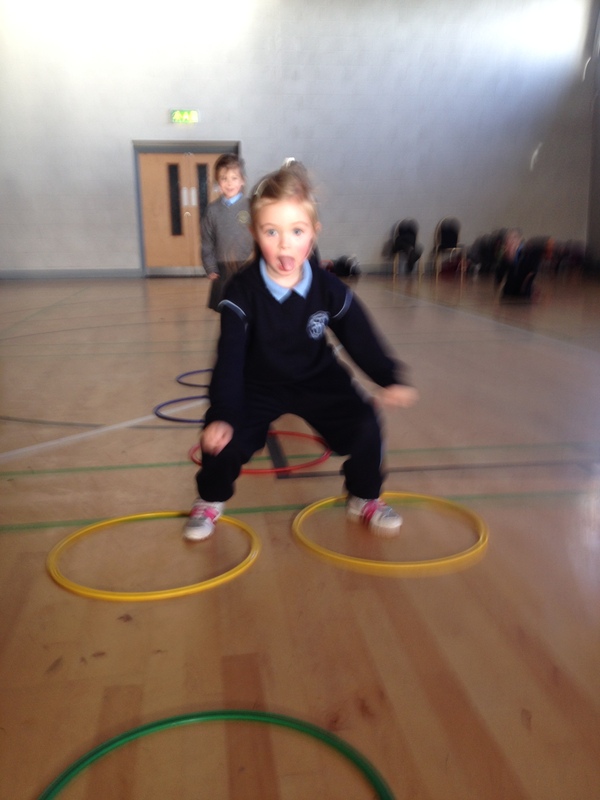 Alison from the Spraoi initiative has also visited us to give us some tips about nutrition and she taught us a dance to the song Uptown Funk. 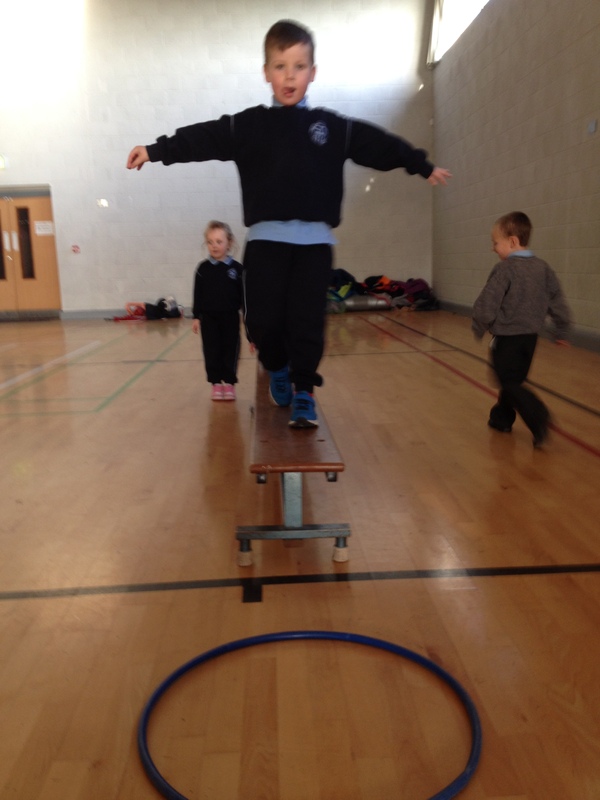 We have also spent some time working on the Athletics Strand of the PE curriculum. 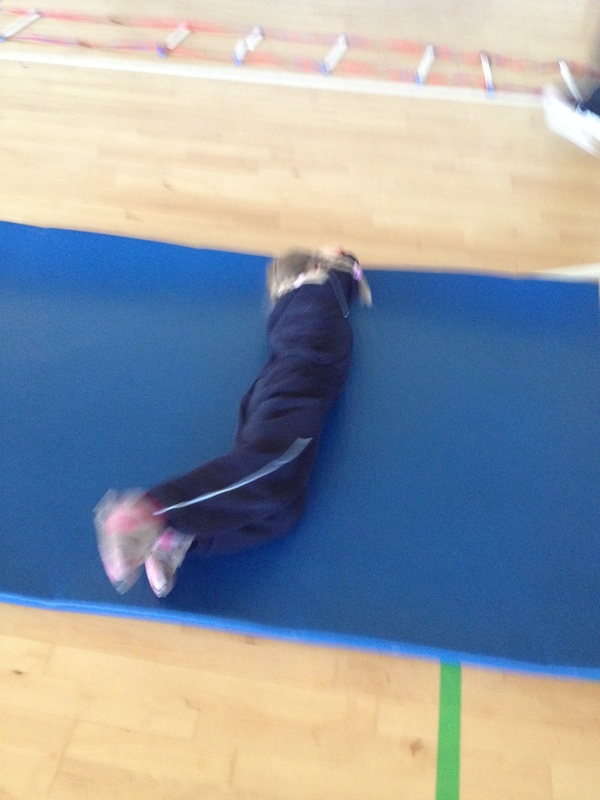 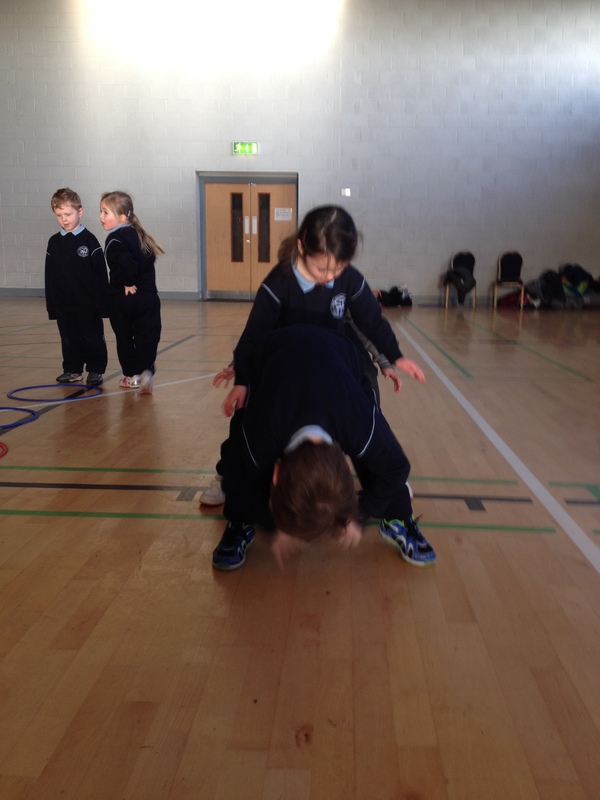 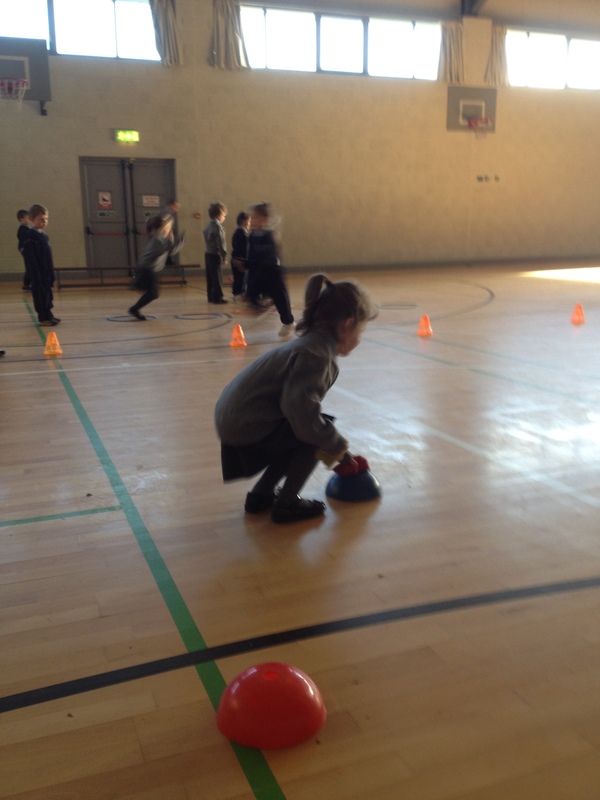 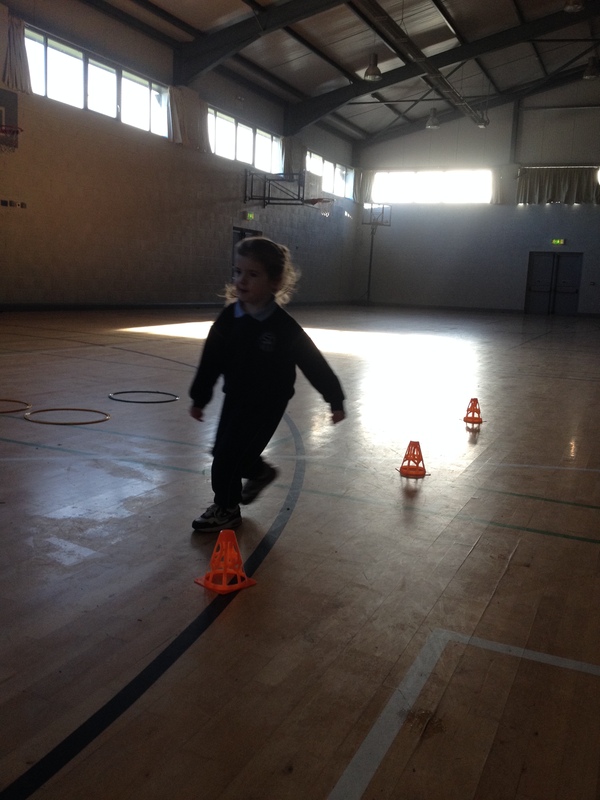 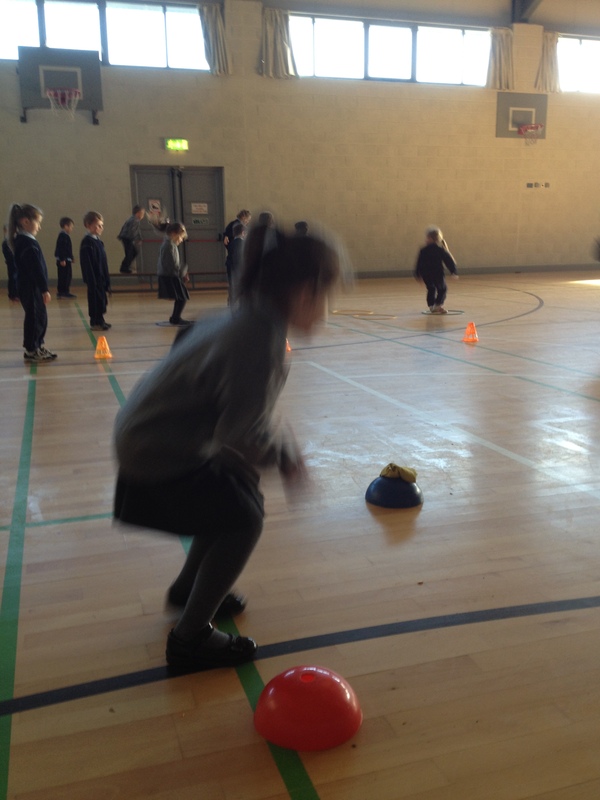 Here are some pictures of the Junior Infants enjoying activities in the Sports Hall with Alison as part of the Spraoi initiative.